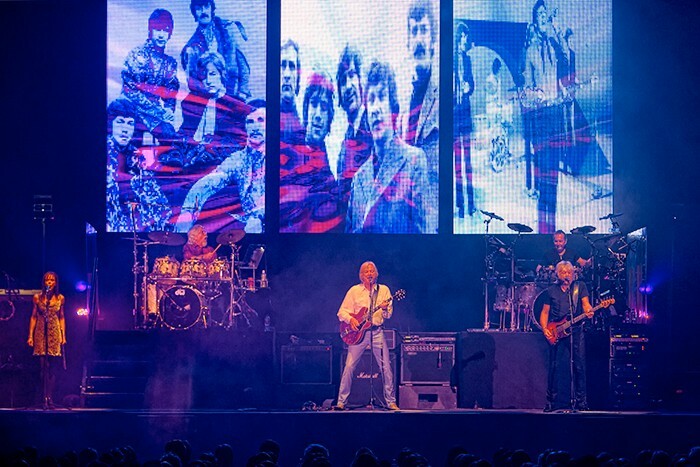 It was the first time Blackburn based HSL had worked with the veteran British rock legends who have sold over 70 million albums worldwide in a remarkable career spanning six decades. 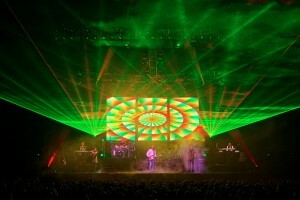 They are pulling in enthusiastic crowds crossing several generations of music fans. 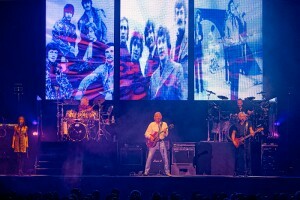 Mick Thornton has worked for the Moody Blues for the last 12 years and for this tour he wanted a lighting contractor who could also supply the LED elements as well as a company with: “A friendly, people-orientated approach who were big enough to offer the service levels we required and without a large and complex management hierarchy,” he explains. Thornton knows the band pretty well after 12 years in the creative lighting driving seat, and his starting point for this tour was a continuation of the design that featured on the most recent US dates, plus the fact that it had to fit into two trucks. They played a selection of theatres and arenas, so there also had to be an innate adaptability in the rig. It was based on a 40ft upstage truss, hinged in the middle to create a V-shape with two 20ft runs of A-type trussing up and down stage at the sides and a 40ft downstage truss. 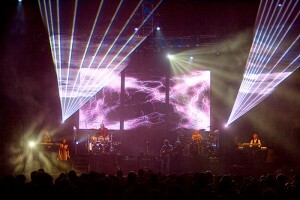 A separate truss at the back was supplied to fly the Martin EC20 LED screen, which was configured as three 5 x 5 panel hangs with about 30 cm in between each one. The moving lights were Martin MAC 700 Spots and Washes, 16 of each. 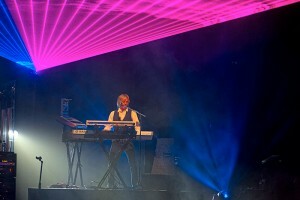 The trusses were warmed with ten i-Pix Satellite LED bricks and on the floor at the back were nine Chroma-Q ColorForce12 LED bricks. The rig was completed with 18 x 2-lite Moles dotted around and eight ETC Source Four profiles with 19 degree lenses on the front truss for key lighting. HSL also supplied three Robert Juliat Korrigan followspots, all positioned at FOH, two EFX DF50 hazers and a Jem Glaciator for ramping up the atmospherics. Thornton ran the show from a grandMA full size console which was triggering a Martin Maxedia media server storing and playing back all the video content. He has been gradually compiling and refining video content for the show over the last couple of years. HSL’s two crew for the five week tour were Jake Jevons and Rob Anderton. “They were absolutely brilliant,” enthuses Thornton. He had access to one of HSL’s Visualisation Suites whilst the rig was being prepped where he did all his fixture exchanging and other preparatory work in a calm and peaceful atmosphere. He comments: “I was very impressed with how HSL have this set up,” he says, “There is a great atmosphere there in the warehouse and offices in Blackburn, and that’s another reason why I chose HSL”. Thornton lives near Leeds and so relatively close to HSL’s HQ, which was another great advantage during the prep and build as he could return home each night.